The Fráter-Seebach alkylation is the stereoselective alkylation of chiral beta-hydroxy esters using superbases such as LDA or LiHMDS. This organic reaction was first reported by G. Fráter in 1979 (DOI DOI). In the original Fráter publication the starting material is ethyl acetoacetate 1, stereoselectively converted to the beta-hydroxy ester 2 with Baker's yeast, converted to the dianion 3 with LDA and finally alkylated with iodomethane in HMPA to 4. In the key step of this enolate alkylation the lithium ion present in the base coordinates to both oxygen atoms, effectively shielding one of the faces of the enolate complex. In this sense the reaction is an early example and predating the concept of memory of chirality. 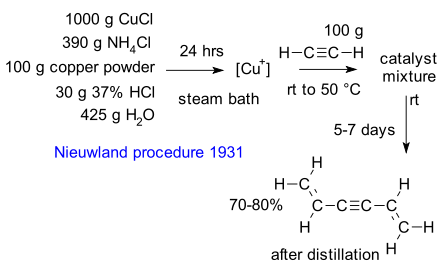 Dieter Seebach in 1980 reported on a related reaction: the diastereoselective alkylation of an malic acid ester ( DOI) with the newly formed alkyl group in an anti relationship to the alcohol. 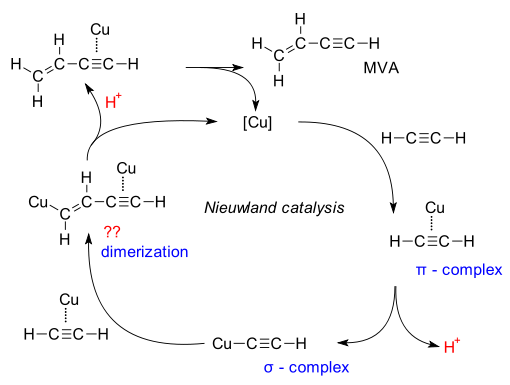 Researchers before Kemp have noted decomposition of certain oxazoles substituted at position 3 but Kemp was the first to attach a mechanism to it. 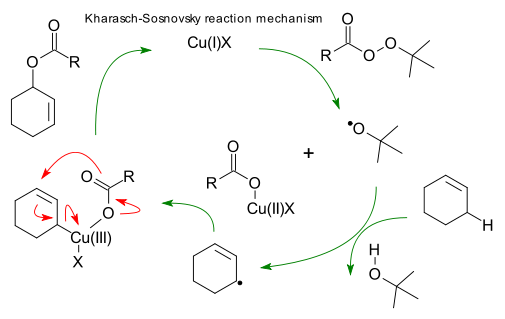 Mechanism: E2 elimination. Main evidence: general base catalysis, large KIE for D/H at 3-position, large leaving group dependence. Main characteristics: irreversible reaction, highly exothermic, reaction rate strongly depends on base strength and solvent type. Large rate-acceleration with a carboxylic acid as 3-substituent accompanied by loss of carboxylic acid. 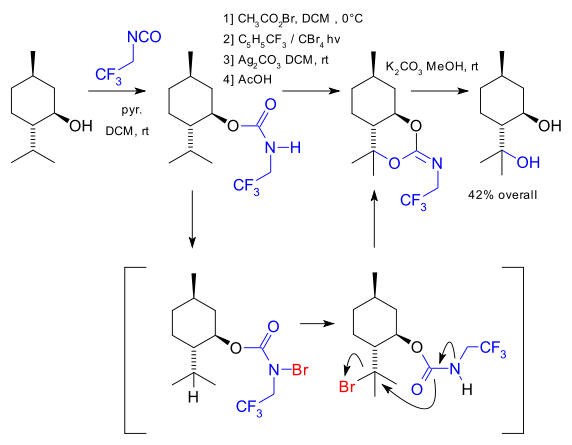 The Kemp reaction is occasionally used as a probe for bases for example BSA (DOI) and most recently in 2008 (DOI) with a set of different amines and an ionic liquid solvent. Interestingly in this particular research not the base strength but the base shape carries weight. For example, the reactivity of dibutylamine (acyclic) is 5 times that of pyrrolidine (cyclic) even though their base strength is comparable. The researchers attribute this effect to a degree of pre-ordering for this particular solvent.